As we dive headlong into a new year, there areplenty of unknowns related to the business and economic climates. Whether you are a trainer, manager or executive, you have an investment in the training and development of staff and are always looking for ways to be more effective, successful and (ofcourse) cost-conscious. What can you focus on this year, to accomplish your training goals? 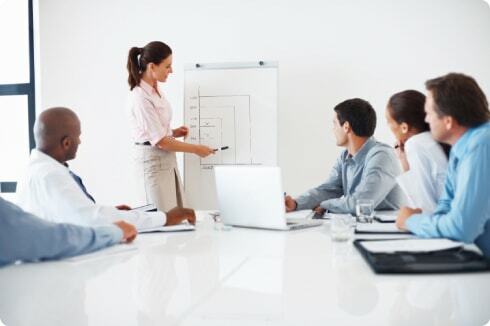 In the past, corporate training programs were often seen as an optional component to the human resources budget. We all have learned that training initiatives are vital to the organization, but only if they are focused on results and their objectives are clearly mapped to organizational goals Would you like to see a better ROI on your training efforts in 2011? So let’s welcome in 2011 with an eye toward not only implementing useful training programs, but also giving careful consideration to the most appropriate programs, tied to core business goals. Our situation this time focuses on an international auto company that was able to keep profits fairly stable during the economically volatile time of the last two years, The executive board is now looking back at its investments and assessing where they experienced successes and challenges. One specific challenge that has come up is in the ROI from employee training. Although the organization fared much better overall than its counterparts, the executive team does not see any positive return on its training programs. As a matter of fact, the executives are just now finding out exactly what kinds of training programs were offered last year! They are skeptical about continuing the current training budget in FY 2010. In order to find out more, they have called in Bruce, the training manager, to plead his case for continued training programs at the same level. He can’t understand why they would think of cutting the critical training programs that helped the company weather the tough economy. What piece is missing? What shift does this organization need to make, in order to make their training programs more effective?